UkrOboronProm, a state-owned enterprise that serves as the parent company for Ukraine’s main defence industry vendors – such as Antonov, Kharkiv Morozov Machine-Building Design Bureau (KMDB) and others – announcedthat both Ukraine and Pakistan were interested in joint munitions development. In particular, talks were held with the leadership of one of Pakistan’s scientific and industrial organizations. It was discussed the terms and conditions for the start of joint Ukrainian-Pakistani production of high-precision missiles of various classes. The parties confirmed their readiness to start joint research and development work in the coming months. Based on UkrOboronProm’s statements, it appears that the intent to collaborate on new precision-guided munitions is serious on both sides. Though neither Ukrainian or Pakistani officials outlined the munitions they are interested in developing. However,UkrOboronProm’s existing programs might offer indications. Today, UkrOboronProm’s flagship munitions program is the Neptunecruise missile. With a range of 280 km, the Neptune was designed to engage fixed and moving targets, including ships. 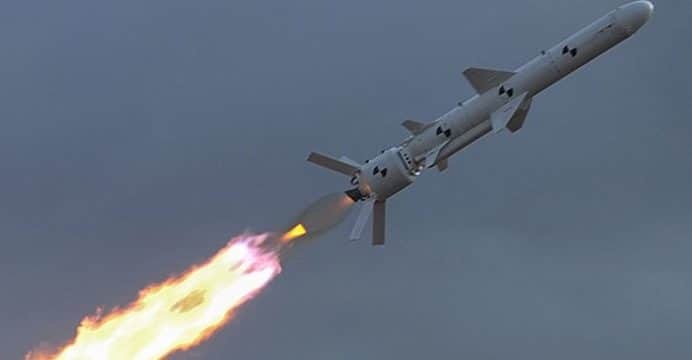 Leveraging Ukraine’s cruise missile technology could be of interest to Pakistan, which has its own growing roster of domestically-built designs, such as the Babur land-attack cruise missile (LACM), Harba anti-ship missile (AShM) and Ra’ad air-launched cruise missile (ALCM). In terms of cruise missiles, Ukraine possesses several critical competencies, such as mastery over small or miniature turbofan engines and electronics. Ukraine is working on developing these further as part of its Korshun program, which aims to bring a terrain-hugging LACM to fruition. Besides cruise missiles, Pakistan and Ukraine could also collaborate on solid-fuel, rocket-based munitions as well. These can range from short-range anti-tank guided missiles (including disposable or single-use) to 122 mm and 300 mm artillery rockets and, potentially,short-range ballistic missiles (SRBM). However, the Missile Technology Control Regime (MTCR) – which Kiev is a signatory of – may limit ballistic missile-related collaboration with Pakistan. On the other hand, a MTCR-compliant design such as the 280 km Hrim-2 SRBM could offer Pakistan an analogous solution to the Iskander SRBM. One of the major plus-points of the Iskander is its ability to maneuver in the atmosphere as a means to evade anti-ballistic missile (ABM) and other high-altitude, long-range air defence systems. Beyond this, their objectives could also be more abstract. For example, the two sides could collaborate in the fields of rocket development, gas turbine manufacturing, electronics development and other critical inputs that can feed into future munitions and other major weapon systems.